If there’s anything that can drive people out of a room or home quickly, it’s the smell of cat urine. But putting the cat's litter box in the garage or closet doesn't work; then a cat just makes a mess without a proper place to go. The smell can still exist even when a pet owner cleans a cat litter box out daily. However, with the Arm & Hammer Cat Deodorizer Dispenser , smell can be cut off before the problem begins to be an issue in a room or home. The Arm & Hammer Cat Deodorizer Dispenser is designed to combat and control cat urine and dropping odor quickly by simply pushing a button on the product. The unit utilizes Arm & Hammer’s famous baking soda approach to kill off odor before it becomes a nuisance. With smell neutralized, a pet owners can enjoy his home again instead of having to constantly try to hide the litter box from guests and friends. 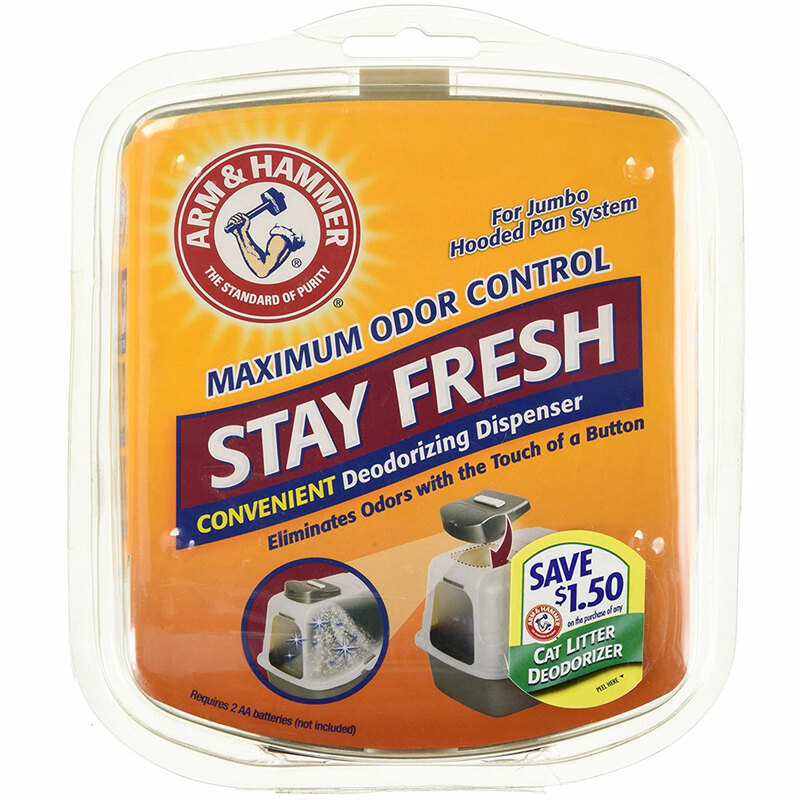 So for maximum odor control and related benefits, one can expect that the Arm & Hammer Cat Deodorizer can deliver on the following: Ease of use on a regular basis with the simply push of a button. Effective and immediate neutralizing of cat urine odor using the power and effectiveness of baking soda. Quick unit replacement to keep odor control on tap on a regular basis.